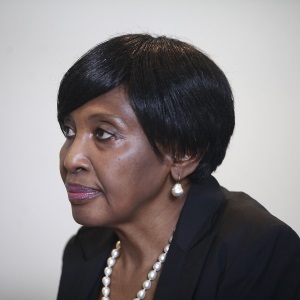 Judge Thokozile Mbatha has been at the high court in Pietermaritzburg since 2011 and acted at the Supreme Court of Appeal (SCA) from December 2016 – November 2017. In that time she has developed a reputation as a no-nonsense judge who has dealt with matters including the tensions over land use and ownership between traditional communities, municipalities and traditional authorities like the Ingonyama Trust. In 2011 she reprimanded businessman Sifiso Zulu (now late), who was close to former president Jacob Zuma, for not pitching in court for his culpable homicide appeal hearing. Mbatha spent most of her unsuccessful 2018 Judicial Service Commission interview for a position at the SCA defending her sentencing in a matter, which was widely considered a serious miscarriage of justice. In S v Ngubane & Others, Mbatha dished out sentences ranging from five years to life sentences to a gang of ATM bombers, despite the State not seeking convictions on many of the charges. The appeal by the ten men was upheld and their convictions and sentences set aside, but the decision haunted Mbatha in 2018. Then, she described the matter as “not a clear-cut case” which was “based mainly in circumstantial evidence” and had “lots of grey areas” — which is why she wanted it go on appeal. In 2017 Mbatha dissented from the majority judgment in a matter before the Supreme Court of Appeal (SCA) which dealt with mineworkers who had contracted silicosis while working at AngloGold Ashanti. The mineworkers had requested information from AngloGold through the Promotion of Access to Information Act (PAIA). The company, citing a prospective class action suit in which it was involved, and where certification had been granted pending an appeal, refused to disclose the relevant information. Having lost in the high court, the mineworkers had appealed to the SCA. Mbatha was admitted as an attorney in 1987 and spent the majority of her career practising in Newcastle, KwaZulu-Natal. She has been a member of the intellectual property committee of the Law Society of South Africa between 2005-10 and its insolvency committee from 2008-10. She served as vice-president of the KwaZulu-Natal Law Society from 2006-07 and as a member of the Electoral Court during the 1994 elections. Mbatha completed her B.Proc at the University of Zululand in 1983. The sentencing of an alleged gang of ATM bombers to life sentences, and then some, despite the state conceding it did not have a case strong enough for a conviction occupied much of Judge Thokozile Mbatha’s 27-minute interview before the Judicial Service Commission (JSC). Mbatha, describing the almost year-long matter as “not a clear-cut case” which was “based mainly in circumstantial evidence”, admitted that it was “maybe an oversight” on her part for not doing so. She said the case had “lots of grey areas” and that she wanted it to go on appeal because of this. The full high court bench which heard the appeal was scathing of Mbatha’s earlier judgement as it overturned the ruling and sentences. On the fractious atmosphere at the Supreme Court of Appeal, Mbatha said: “In simple terms, I felt there was some sort of gate-keeping process… You hear comments [like] ‘This one should not be here,’” she said. Mbatha added that there was an intimidatory atmosphere when acting judges were allocated judgments to be written with “threats” that “judgments will be taken away from you”. She described one incident where it appeared that she was harassed several times for drafts by the presiding judge in a matter where she was the scribe. “It was an intimidatory atmosphere which I found unsettling,” she told the commission.